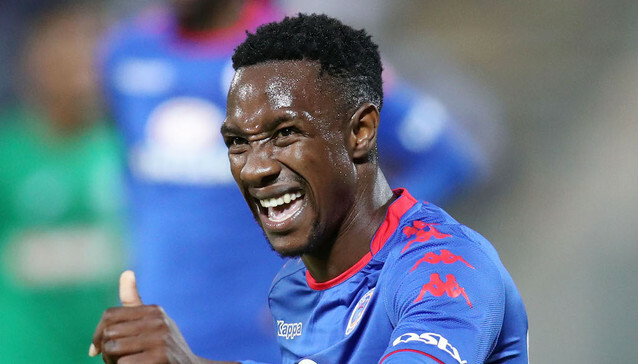 SuperSport United coach Kaitano Tembo got his first win of the season on Wednesday, beating Amazulu 1-0 in an ABSA Premiership’s match-day two encounter. Tembo lost 2-1 to Cape Town City in his first match of the campaign last weekend. United Striker Evans Rusike scored the winning goal three minutes into the second. His team-mate Onismore Bhasera played the whole ninety minutes. Also on target during the mid-week fixtures was Bidvest Wits’ Terrence Dzvukamanja who netted his debut ABSA Premiership goal in 3-1 win over Kaizer Chiefs. The 24-year-old forward also created Wits’ first goal. On the other hand, Khama Billiat made a notable contribution despite his side going down. The winger who arrived at Chiefs in July assisted his team’s only goal netted by Leonardo Castro in the first half. He had a chance in the 75th minute, but his freekick brushed the outside of the upright. Amakhosi Midfielder Willard Katsande also took part in the encounter. Polokwane City duo of George Chigova and Walter Musona were in action but suffered a 0-2 defeat at home to Mamelodi Sundowns. Musona came on as a second-half substitute. Talent Chawapiwa was in top form when his side beat Cape Town City. He delivered some brilliant crosses which posed danger in the opponent’s box. City forward Matthew Rusike started in the first eleven. Kuda Mahachi also featured as Orlando Pirates picked up maximum points at Chippa United.